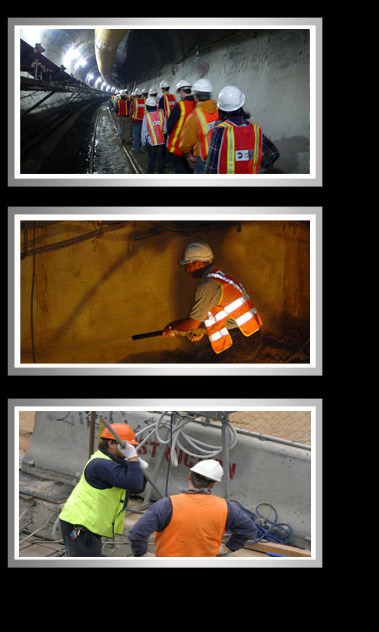 We at Kane Tunnelling Ltd recognise and understand that there is no more of an important goal for any company within the tunnelling industry, than to achieve the highest standards of health and safety. Our Health & Safety Policy stipulates our principles and safety framework to which we work and this is available to all our employee’s during there compulsory safety training. We are not only committed to preventing work related accidents, but also the prevention of long term health issues which our operatives maybe exposed too and also ensuring that everyone, inclusive of the community who maybe affected by our activities are fully aware of our occupational health and safety policies via public consultation. Meeting, and sometimes exceeding local Health & Safety Legislative Requirements. The regular commencement of Safety Audits. Adopting a behavourial approach to Health & Safety Management. Provide adequate welfare, support facilities and screening for all of our employees. Provide effective and comprehensive instructions, training and supervision. The elimination of dangerous occurrences. The regular commencement of Hazard & Risk Assessments. Ensuring all of our plant and equipment is regularly serviced and maintained. Continuously reviewing and revising our company policy and guidance notes to meet the needs of our employees, regulations and new health and safety technologies. Eliminated Noise Induced Hearing Loss. Eliminated hand and arm vibration syndrome. The standard of craftsmanship, the attention to detail, and the quality of the finishing touches, all contribute to the hallmark that is Kane Tunnelling.